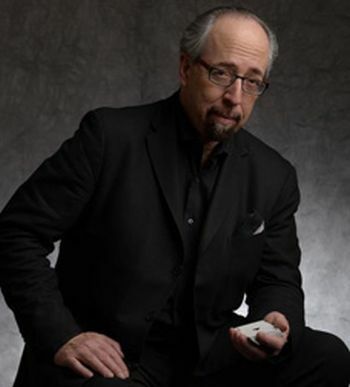 According to the post-modern magic duo, Penn & Teller, Jamy Ian Swiss is “James Bond with a deck of cards for a pistol!” An internationally acclaimed sleight-of-hand artist, mentalist and stage performer, Swiss has appeared internationally for presenters ranging from Fortune 500 companies to the Smithsonian Institution. His U.S. television appearances include CBS 48 Hours; PBS Nova; and repeat appearances on The Today Show and The Late, Late Show. He appears in two feature-length documentaries: “An Honest Liar” and “Merchants of Doubt”; has written and produced for television including “Penn & Teller’s Sin City Spectacular” and Marco Tempest’s “The Virtual Magician;” and is a producer of New York’s longest-running Off-Broadway show, “Monday Night Magic.” Swiss has lectured to magicians in 13 countries; to academics and scientists about skepticism and critical thinking; to law enforcement professionals on con games; consulted on casino game security; and as a content-focused corporate speaker addresses subjects including creativity, user experience, user interface and more. A renowned “skeptic” and pro-science advocate and activist, Swiss currently serves as Vice-President of The San Diego Skeptics Society.